Slash resistant clothing, sweaters, shirts and other style of garments have become more and more a target of interest to those charged with the personal safety of prison and correctional officers all over the world. The following explains where and when the idea of developing such personal protective equipment (PPE) was born. On 8th June 2012 I had the genuine pleasure to meet proud ex-infantry soldier turned prison officer ( and now very close friend of mine) Craig Wylde the first time… just two years following the horrific assault on him by full time criminal and triple murderer Kevan Thakrar. The above attack involving Craig took place on 13th March 2010 at Frankland High Security Prison here in the UK, and left him fighting for his life, after he and two colleagues were brutally assaulted by the above ‘idiot’. Craig was left with a severed artery in his left arm after the incident, which has turned his life completely upside down. I have spent a few hours with Craig and his wife in our first more ‘professional’ meeting, and had to witness immediately what an enormous impact this assault and subsequent injury had on this gorgeous young family’s day to day life. It seems to be unbelievable, but nevertheless it is true, an ‘arm injury’ of this type can cause such immense level of distress, constant intense pain and test the strength of a family right to its core. Craig is currently reducing the amount of tablets he was taking in order to cope with all physical and psychological issues. 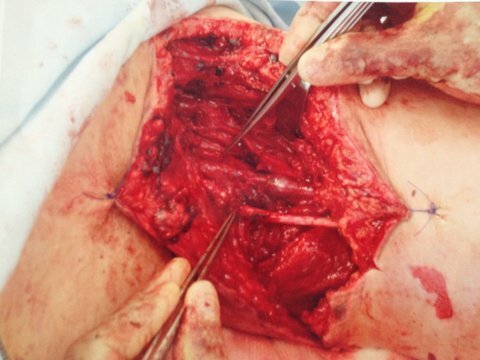 The below image shows the open wound on the inside of his upper left arm, caused by a slash by Kevan Thakrar, using a broken bottle. Unfortunately it is a matter of fact that the personal safety and well-being of police officers is much more in the public eye, than the important service our prison officers do provide and the dangers these professionals face every single day. Somehow this is a little understandable (but wrong), as the public is certainly more keen to see police officers patrolling their neighbourhood and giving them a certain sense of security. Prison officers on the other hand a much more ‘out of sight’ end hence they do get forgotten a lot. I don’t know, but can you see the general public discussing the safety of prison officers? That’s a difficult one to imagine I guess. But, don’t prison officers deserve at least the same support, attention and respect like other frontline public services? Mt friend’s genuine desire to improve the personal safety of his colleagues has so far fallen on ‘not very perceptive ears’. Nothing worthwhile reporting about has been done to make a difference to the safety of these professionals. Yes, glass bottles have been removed from most prison facilities.. but you will be fully are aware of the fact that sharpened table/bed frame legs, ceramic pieces (broken off from hand basins), razor blades melted into tooth brushes and similar edged weapon are much more ‘popular’ than glass bottles? Following the above assault at Frankland High Security Prison in 2010, we have developed several ‘low-profile’ protective slash resistant clothing made out of our very own cut and slash resistant fabric Cut-Tex® PRO! 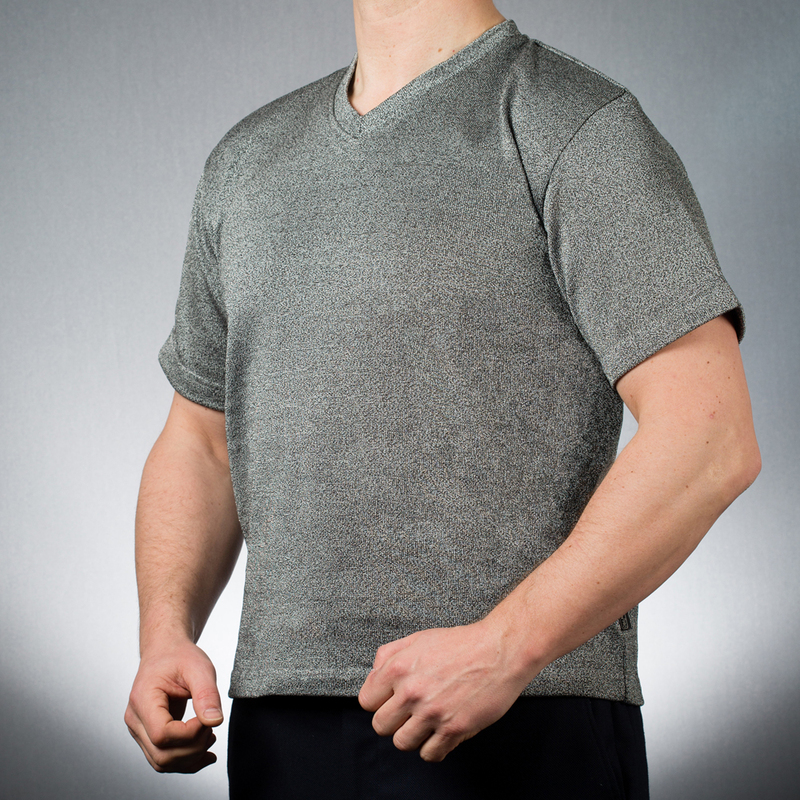 I am talking about 100% concealable slash resistant clothing, such as simple tops that can be worn underneath a prison/correctional officer’s shirt, in order to reduce the risk of slash related injuries, rapid blood loss and the risk of the potential subsequent death of an officer. Is there a risk of assaults on prison officers within high security prisons and correctional facilities? YES, there is! Is the risk high enough to warrant the general issue of some type of basic PPE? Yes, I genuinely believe so! It’s very very similar to us wearing a seat belt in our car. We don’t use a seat belt today because we know for sure we have an accident today. Neither do we use a seat belt because we are scared or paranoid, worrying that we might have a crash today. No, not at all! The reason why we wear a seat belt is that we do understand that we have a much higher chance of survival in case someone is drunk, plays on his mobile phone or is otherwise distracted and crashes into our car, despite our own great driving skills we might even be able to claim. The seatbelt is ‘unlikely’ to save our lives if the other person hits us front on with a speed of 10,000 miles in hour. However, it will ensure we survive the vast majority of all potential accidents… it is about REDUCING THE RISK! Now back to the above question. How much do we really care about others? If my child is sitting on the back seat of my car I will make sure it is wearing a seat belt. If any of my loved ones is sitting in my car I will also make sure they are wearing a seat belt. If other people, in other cars, in other countries and on other planets decide they don’t like seat belts… that is their personal choice and I do not care! But I must say I do have an issue with decision makers ‘not allowing’ their colleagues to wear a seat belt or in this case any type of PPE! So… how much do we care about the personal safety of prison and correctional officers, and are we willing to make a difference and at least start a real genuine discussion about slash resistant clothing? Based on Craig’s opinion and our own operational understanding, based on personal comments we have received from dozens of his colleagues from around the world, and based on my (and my colleagues) many years of operational frontline experience within law enforcement and high risk security operations, we ALL feel that high performance slash resistant t-shirts could be a real sensible option and solution, which makes unquestionable operational sense and would not restrict the wearers movement or restrict him in his duties. We are genuinely convinced that the severity of the injury would have been significantly reduced if Craig and other officers during other attacks in other prisons in other countries around the world would have been issued with such slash resistant t-shirt. 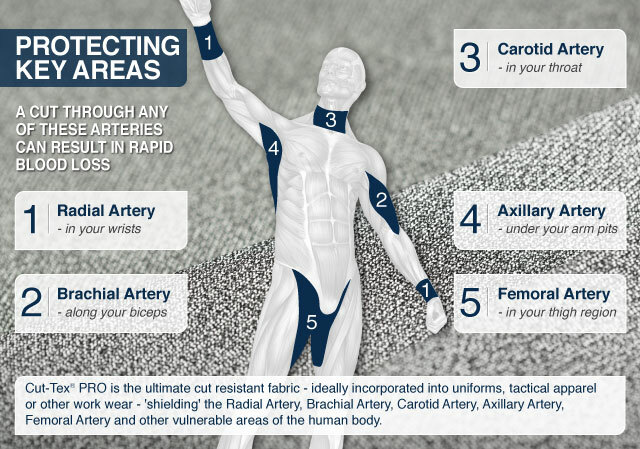 Would such slash resistant clothing eliminate the risk of workplace violence related injuries? No, it will not! Will they reduce the risk of workplace violence related injuries? Yes, this is 100% guaranteed! PPSS Slash Resistant Clothing is made out of 100% Cut-Tex® PRO (a highly acclaimed hi-tech fabric) and is already being worn by hundreds of homeland security professionals around the world. It has been tested to European, International and American cut resistance standards and offers previously unmatched cut, tear and abrasion resistance too. I would like to invite you to re-look into what can be done, and what you are willing to do, in order to improve the personal safety of these professionals. I fully understand we have to ensure they do not look confrontational, aggressive or authoritative, and I also understand that we live in a world where access to financial resources is restricted. However, what has happened to my friend has now happened. We cannot turn back the time. But what we all feel so strongly about is that SOMETHING must happen, otherwise we will sooner rather than later look at another fatality within this sector, which could be prevented by the issuing of the right type of PPE. The fact of the matter is (as sad as it might be)… widely available statistics will tell us that it is unfortunately only a matter of time until another prison or correctional officer will be attacked, beaten, punched, kicked or stabbed (as much as we all will hate this fact). The statistics can of course not give us the name of the next person who will become part of this statistic… so our responsibility must be to ensure it is a) not our name, and b) not the name of our colleagues and employees. However, there is no question about it… it will happen. What will we/you have done in order to reduce that risk? Please note we are also more than happy to offer our Cut-Tex PRO cut/slash resistant fabric to the manufacturer of your current uniforms or tactical gear or coveralls. This would enable them to incorporate this high performance material into your current uniform, especially vulnerable areas that really require such level of protection. This would effectively help protect your colleagues from potentially horrendous cut injuries. Cut-Tex® PRO has been used for various applications, most recently within the glass and metal industry. CutPRO® cut resistant clothing has garment specially designed for industry workers, including CutPRO® Cut Resistant Trousers.